I added "Comments Box" to the website as a test. It's being interlocked with Facebook. You could arrive at the page from "Updated" of "TOP. " 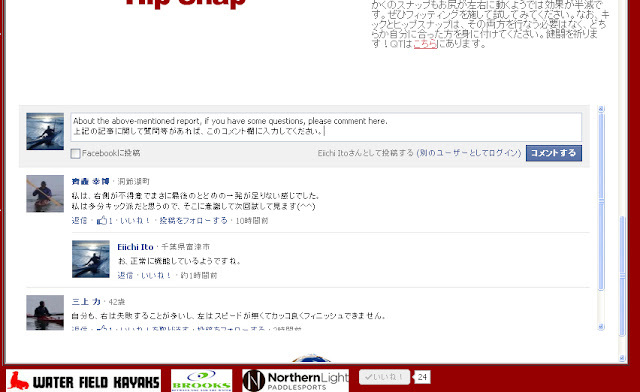 It's located in the bottom of the page of "Kick or Hip Snap". If you have some questions about the contents of the article, please input into the Comments Box. I'll install "Comments Box" in the report of all futures, if this is convenient for my friends.